THE COMMISSION OF Investigation into Mother and Baby Homes has said that it needs an extra year to complete its full report into 14 former homes. In its third interim report, the commission said that the scale of the task involved in collating and analysing the vast range of material it needs to is vast. Additionally, the commission is spending a great deal of time speaking to former residents of these homes to hear their personal experiences. The government has agreed to grant this extension to the report, initially due in February 2018, to be delayed to February 2019. The commission has already met 346 former residents of institutions under investigation, with meetings taking place across the country and in the UK. A further 200 people have applied to meet with the committee. After the uncovering of the mass burial site at the former mother and baby home in Tuam, it said many more people applied to speak to them. “It is not possible for the confidential committee to meet all of the people concerned and complete its report by February 2018,” it said. Looking at the homes, themselves, it says they must collect and analyse information about “entry and exit pathways for those mothers and children, living conditions, mortality rates, post-mortem practices and vaccine trials in the institutions, and practices in relation to fostering and adoption”. 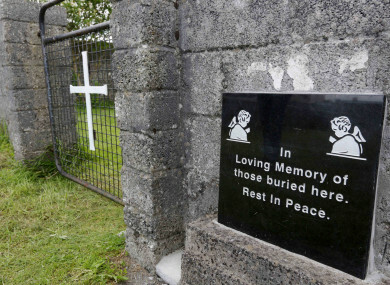 Some of these issues have proved to be very time consuming – in particular, the Commission has spent considerable time trying to establish the burial practices in Tuam. It said that while there are detailed death records available, there are “significant gaps” in the information available about the burials of babies who died in a number of the institutions. “The commission is continuing to make inquiries about burials and burial records but it appears that this is an area in which it will be difficult to establish the facts,” it said. The government has granted this extension, the Dublin South-West TD said. She added that she understood that former residents were eagerly anticipating the report, and that many will be “disappointed and frustrated” with the delay. Zappone said that he will set up a collaborative forum to support former residents, and that the government has decided to invite the UN Special Rapporteur on the promotion of truth, reparation and guarantees of non-recurrence to visit Ireland. Furthermore, the terms of the reference for the commission will not be extended to further homes at this time. In response, Sinn Féin’s Denise Mitchell said that survivors “have waited decades for truth and justice and this will add to their frustration”. “Many of these survivors are very elderly citizens, and hundreds have already passed away without ever seeing justice for the horrors they endured in these institutions,” she said. The commission said that it does think the extension will “require any change to the statement of costs” that were originally set out with the terms of reference. Email “Mother and baby homes: It will be difficult to 'establish facts' on burial records say investigators”. Feedback on “Mother and baby homes: It will be difficult to 'establish facts' on burial records say investigators”.